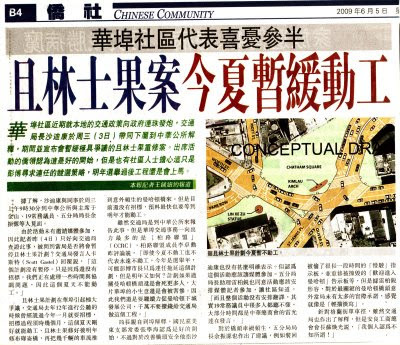 Civic Center Residents Coalition NYC: Sing Tao Newspaper confirms - Chatham Square reconstruction stopped. Sing Tao Newspaper confirms - Chatham Square reconstruction stopped. Great news to see that the community will have more time to provide input and its own proposal!